If you want a great vacation in Dominican Republic, but would like to avoid resort-filled destinations like Punta Cana – then Puerto Plata makes an excellent choice. Sitting on the Dominican’s northern shore, Puerto Plata has managed to keep itself under the radar despite having all the quintessential Caribbean beach traits that tourists crave. Also known as San Felipe de Puerto Plata, Puerto Plata maintains its own airport, the Gregorio Luperon International Airport, which facilitates daily flights to and from major North American cities. It takes only a 15-minute drive to reach the city downtown from the airport. 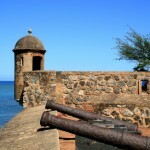 But, before hitting the beaches, take the time to explore Puerto Plata’s attractions, and you will not be disappointed. 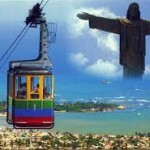 One of the attractions is the funicular train service called the Teleferico Puerto Plata Cable Car that goes all the way up to the top of Mount Isabelle de Torres, which stands behind Puerto Plata. Once you reach the peak, you will be greeted by a replica of the statue Christo le redentor, found in Rio de Janeiro Brazil. If you are the adventurous type, you can hike the short path that leads to lookout points, a cave and a pool. 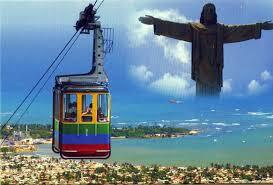 You have the option to hire one of the local guides, who are usually at the Teleferico lobby. 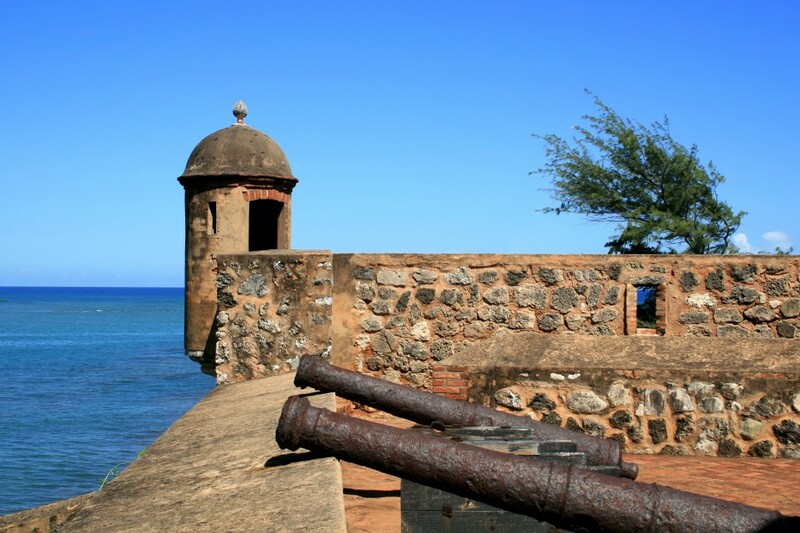 Fort San Felipe (Fortaleza San Felipe) is another point of interest you can visit in Puerto Plata. This historical fort lies by the main bay. It is a simple yet lovely experience to walk around this fortification while overlooking sea. If you fancy a little picnic, then make your way to the grassy section. Take note that some local vendors in the area are quite persistent in trying to sell their products so be warned that their initial asking price is usually inflated. To witness the local folks in action, make a stop at a local produce market, or visit a cigar or jewelry factory. If you do not want to bother planning an itinerary, a great option is to sign up for a city tour, which will bring you to all the attractions mentioned above for about $60USD. 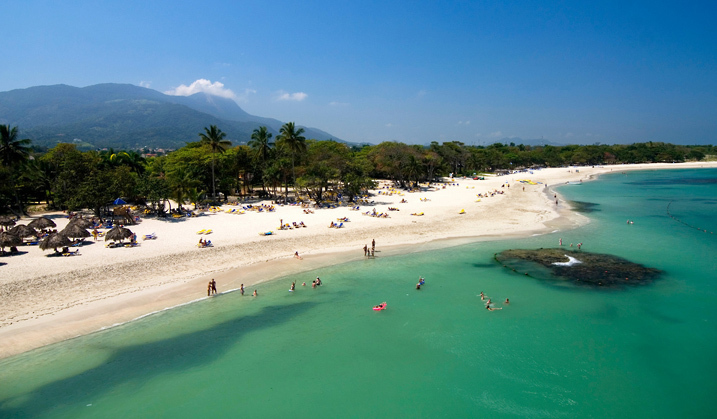 The highlight of your time in Puerto Plata is, of course, the beaches. You can easily find the main beach nearby the shopping complex of La Sirena. Entrance to this beach is free but locals will most likely ask you to rent a lounge chair. Bigger resorts in Puerto Plata maintain their own private beaches and you may want to consider this when deciding on your accommodation in the city. If you want to do something more active than just relaxing on the beach (which is not a bad idea), there are several companies who will be more than willing to arrange excursions for you. Land-based excursions are usually in the form of wildlife-watching trips and horseback riding. 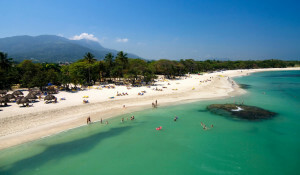 Puerto Plata’s coast enjoys consistent breezes and gentle swells. This makes it an ideal spot for water-based activities like kitesurfing, wakeboarding, windsurfing and banana boat rides. Catamaran tours are also very popular among tourists. Just make sure to ask around and negotiate the price before booking one as most are negotiable. There are also scuba diving shops in Puerto Plata, but they do not conduct diving excursions in the waters surrounding the city. Instead, they usually pick up guests from their hotels and bring them to Sosua, where diving conditions are much better. Sosua is only about an hour and a half drive from most hotels and resorts in Puerto Plata.